The Inter-American Development’s just released ‘Education and health: The sectors of the future?’ predicts a huge shortage of teachers, doctors, nurses in Latin America and the Caribbean. WASHINGTON — A huge shortage of teachers, doctors and nurses is predicted in Latin America and the Caribbean by 2040, according to a new study by the Inter-American Development Bank (IDB). Latin America and the Caribbean will need approximately 12 million teachers, 3 million doctors and 8 million nurses by the year 2040 according to ‘Education and health: The sectors of the future?’ the second issue of the IDB’s The future of work in Latin America and the Caribbean series says in its projection of the demand for social sector professionals in 24 countries in the region. 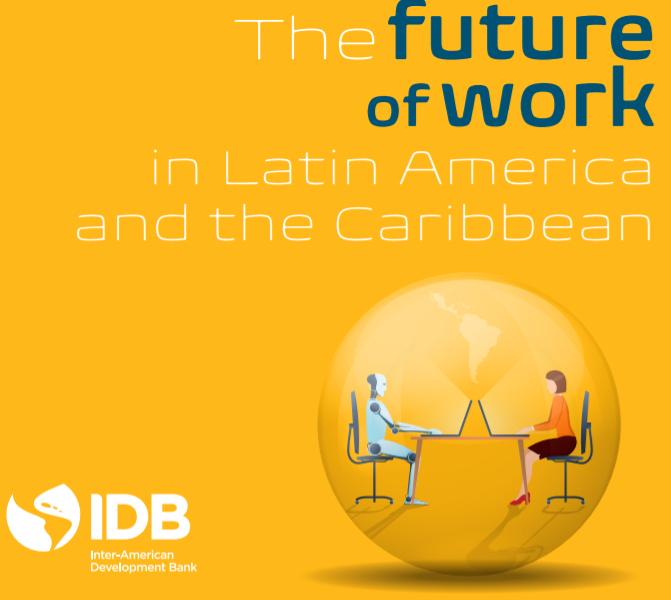 “Our study shows that, even in the framework of the fourth industrial revolution, we can expect the number of teachers, doctors and nurses in Latin America and the Caribbean to continue growing at great speed,” explains Marcelo Cabrol, manager of the IDB Social Sector. “Our methodology allows us to know that, for example, a third of the teachers that will be needed in 15 years, and almost two thirds of the doctors and nurses, are people who have not yet begun their working life. In addition to presenting projections for the future, the study ‘Education and health: The sectors of the future?’ analyzes the evolution of the employment of teachers, doctors and nurses in Latin America and the Caribbean over the last four decades. “These three occupations have been growing significantly in the region, but the most remarkable thing is that the jobs in education and health are, in comparison with other sectors, of good quality,” explains Cabrol. “Thus, the publication not only shows evidence that the income of teachers, doctors and nurses in Latin America and the Caribbean has grown significantly in recent years, but also that these professionals are more likely to receive a pension in old age than other professionals such as engineers, lawyers, journalists or accountants. “In addition, women represent the majority of social sector workers, and the gender wage gap is substantially lower in these occupations than in others. While, in our region, women with post-secondary education still earn on average 28 percent less than men, in education and health this difference is around 10 percent,” says Cabrol. ‘Education and health: The sectors of the future?’ is the second issue of the series The Future of Work in Latin America and the Caribbean, with which the IDB seeks to enrich the discussion on how the region can take advantage of opportunities and minimize risks that arise from this issue using an interactive format that incorporates audio, video and other resources.